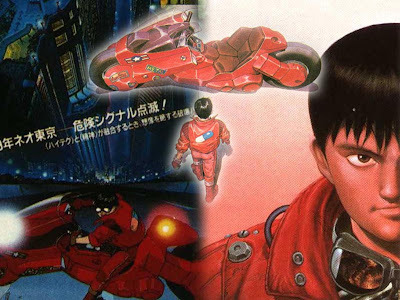 A few years ago Leonardo DiCaprio, who's apparently an avid anime fan, pitched the idea to make a live action Akira movie with his studio, Appian Way. Heck since the 90's a live action Akira has been passed around to us all with all the typical Hollywood toss-around. Unlike the Cowboy Bebop Movie which is still in the dark (unless somebody can tell me more info other than "Keanu is Spike"), this movie is gaining some ground in production. As announced on Variety, Harry Potter's (well 7 of the 8 movies) script writer, Steve Kloves has joined the Akira Movie team. Hopefully, like Harry Potter, he takes the spirit of the original media and makes it something of awe on the big screen. Capturing the spirit of anime in both art and movies, has been a struggle for the West; this has much hope though. Word has it that Morgan Freeman will be Colonel Shikishima and James Franco will be Shotaro Kaneda. Also supposedly today Brad Pitt rejected a role for the movie. So, in other words, this is being taken seriously by all involved and not simply thrown under a rug. If done right, this might actually seem like a decent, big budget anime-to-hollywood production.